Al Kwarizmi was a Muslim scientist who lived in Baghdad, the city that was part of Persia at that time. He was known for his work in mathematics. He is known as the father of Algebra, a branch of mathematics where symbols are used instead of numbers. As you can see, using roman numbers system, we can only go so far before we run out of letter! Al Khwarizmi observed the work of some Indians merchants, who used some different numbers. He used some of those ideas into developing the number system we today know as the “Arabic numerals”. The most significant number he added was ‘zero’! Alkharizi invented a really smart technique which we today know as “place value”. It means, the value of a number increases as if we bump it to left with another number from right. e.g 1, 10, 100 etc. His most important work was in Algebra. 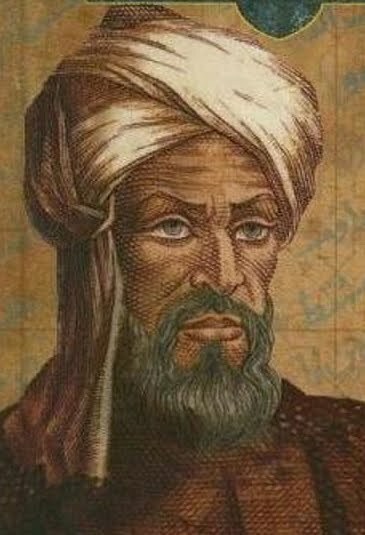 The word “Algebra” itself is derived from the Arabic word “Al Jabr” meaning re-union of broken parts, which he used in his book “The Compendious Book on Calculation by Completion and Balancing“. Al Khwarizi was one of the many great Muslim scientists of that time. His work, along with the others, was translate into Latin, and then English, and later used by famous European scientists such as Galileo and Kepler. I hope this inspired you to learn more about Muslim Scientists! Ibn Al-Haytham, sometimes knows an “Al-Hazen”, was a renowned Muslim scientist of 10th century. He was born in the town of Basra, now in Iraq. Al-Haythamwas expert in mathematics, algebra and geometry. One day, Al-Haytham was sitting in his room. It was dark in there, with windows closed. He noticed something strange on the wall. When he looked closely, it was the image of a building. Upside down! He was shocked! When he looked out the window, he saw the same building outside. Right side up! 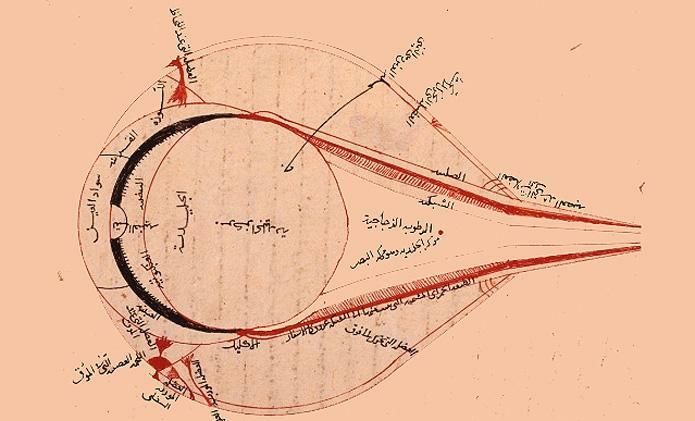 Al-Haytham used this experiment to make a very important discovery: How we see! pinhole camera, which makes an image at the back of our eye, inverted! Then our brain somehow makes sense out of it. Al-Haythem write a book on this. It was called “The Book of Vision”. He made detailed drawings of the interior of our eye! Al-Haythem wrote about 200 books. Unfortunately a lot of those were lost in a fire. Only 50 books were left. But even on those 50 books, there was so much knowledge, that it helped scientist to make other theories about light, gravity, motion of planets and earth. Another mystery people in that time didn’t understand was about the size of the moon. They couldn’t igure out why it looked small when it was high up in the sky and looked gigantic when it was lower. Al-Haythem explained that this is just an optical illusion. The moon is in fact same size all along, but when it is lower, we see other things such as trees and buildings closeby, and by comparison, it looks huge. Today, scientist accept this as correct explanation.